Explore and discover new chunks with this thrilling Minecraft Tundra Tower Expansion Playset. 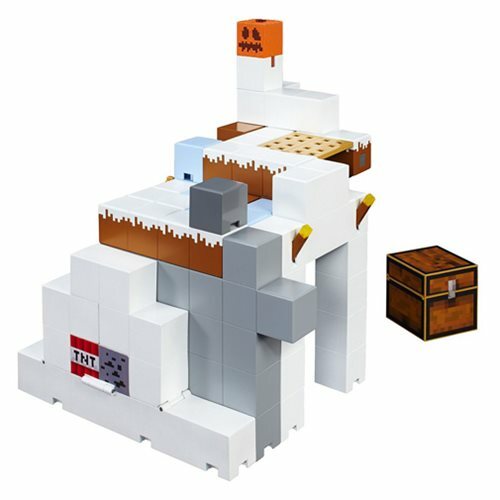 Made for 5-inch Minecraft Figures, this playset allows you to explore and interact with the world as you would in game! This Tundra biome includes authentic details and comes with an exclusive Zombie Villager mini-figure and hidden surprises like a trap door and a transforming Snow Golem. Find the Redstone activated TNT for some "explosive" action. With endless potential for fun, this item is a must have for all Minecraft fans.